Home / #Business / #Economics / #TrueNews / #USPolitics / #Economics,#USPolitics,#Business : US debt breaks away mark of 22 trillion dollars ! #Economics,#USPolitics,#Business : US debt breaks away mark of 22 trillion dollars ! The US national debt* for the first time ever crossed the $22 trillion mark, Treasury Department data revealed Tuesday. 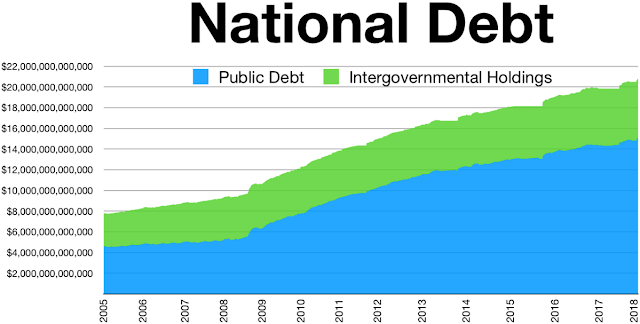 The total US national debt is now $22.012 trillion. *The national debt of the United States is the debt, or unpaid borrowed funds, carried by the federal government of the United States, which is measured as the face value of the currently outstanding Treasury securities that have been issued by the Treasury and other federal government agencies. The terms national deficit and national surplus usually refer to the federal government budget balance from year to year, not the cumulative amount of debt. A deficit year increases the debt, while a surplus year decreases the debt as more money is received than spent. The US national debt can be divided between intragovernmental debt and publicly held debt. The latest figure represents a jump of more than $30 billion from where the balance stood at the beginning of February. According to the US Congressional Budget Office (CBO), the United States’ federal budget deficit will rise by more than $100 billion to reach $900 billion this year. The CBO said in its January report that over the coming decade, deficits will fluctuate between 4.1 percent and 4.7 percent of gross domestic product (GDP), well above the average over the past half a century. The CBO also said the federal outlays are projected to increase from 20.8 percent of GDP in 2019 to 23.0 percent in 2029. TRUE NEWS & MUSIC,24 HOURS A DAY! 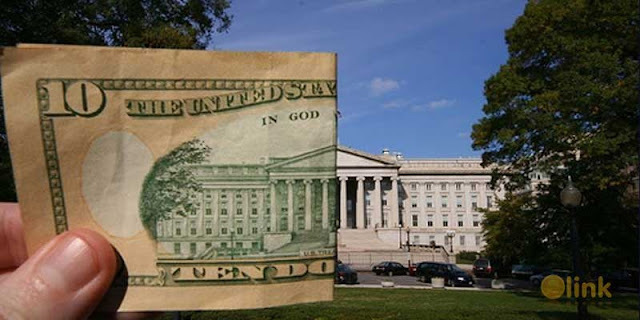 The US Treasury Department's report comes as the federal US government has re-opened after a 35-day partial shutdown, which the Congressional Budget Office characterized as having a modest negative impact on the US economy. US President Donald Trump has repeatedly criticized his predecessor President Barack Obama for greatly increasing the debt during his eight years in office. As a presidential candidate back in 2016, US President Donald Trump pledged to get rid of the US debt over eight years. The US president suggested that this could be achieved by making better trade deals. Under Trump presidency, a United States–Mexico–Canada Agreement (USMCA), meant to replace the North American Free Trade Agreement (NAFTA), has been negotiated and signed by all three parties. In addition, Washington introduced a series of imports tariffs on various goods from China, which prompted retaliation measures from Beijing. However, the US public debt grew roughly by $2 trillion compared to early 2017 when President Donald Trump took office, according to the US Treasury Department. Moreover, the rate of increase of the debt accelerated after Trump pushed through $1.5 trillion in tax cuts in December 2017.